Capturing stars during broad daylight is a little tricky, but the brightest ones can be seen. 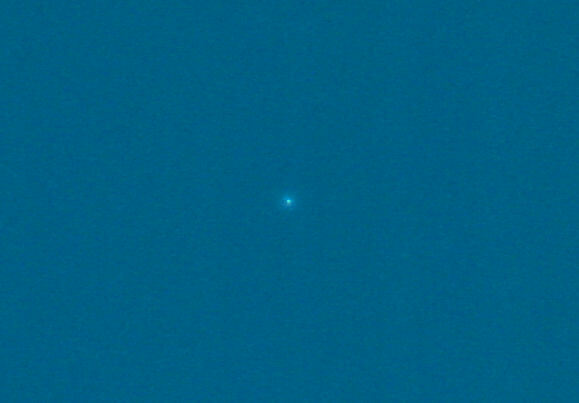 I tried for Betelgeuse, but it is too near the sun in the sky at the moment. I then went for Regulus in Leo, and I was more successful. This is a composite of 7 sharp images. 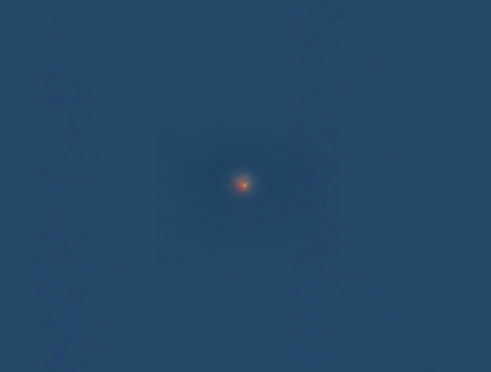 Arcturus is up by the afternoon now, and is a more interesting star to try to image in the daytime, being an orange star. The seeing conditions during the day, as might be expected, are pretty bad, but I managed to stack about 40 decent images.